When we were kids, the Christmas Eve tradition at our house was to have appetizers for supper. Mom would bake some Triscuits in the toaster oven that were topped with cheese and sliced green olives. So good! We'd also have a selection of chips and dips and various other snacks. 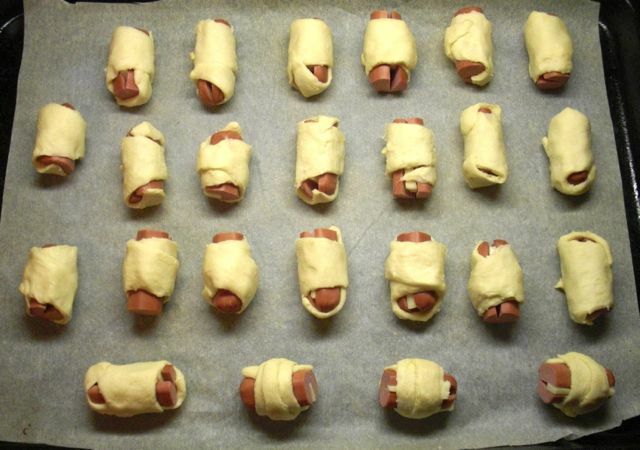 I'm not sure if we ever had mini crescent dogs in those days, but as an adult, they've been added to the Christmas Eve menu. 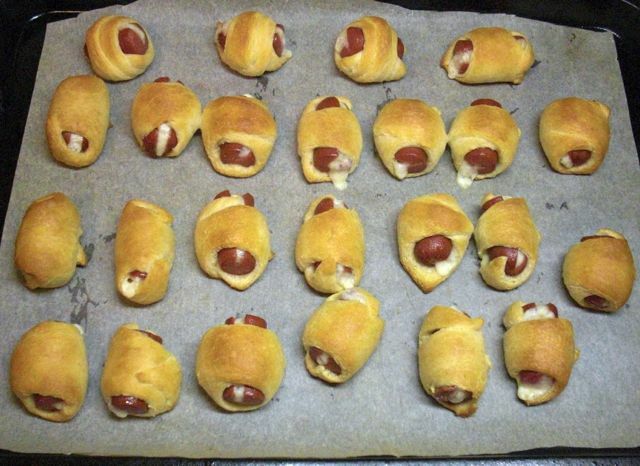 Mini crescent dogs are really easy to make and especially easy to eat. When they are mini, three of them is equal to one hot dog. So if you don't count how many you are eating (pro tip: never count how many you are eating), you may end up having more hot dogs than you normally would in one sitting. Which is kinda the best. 1. 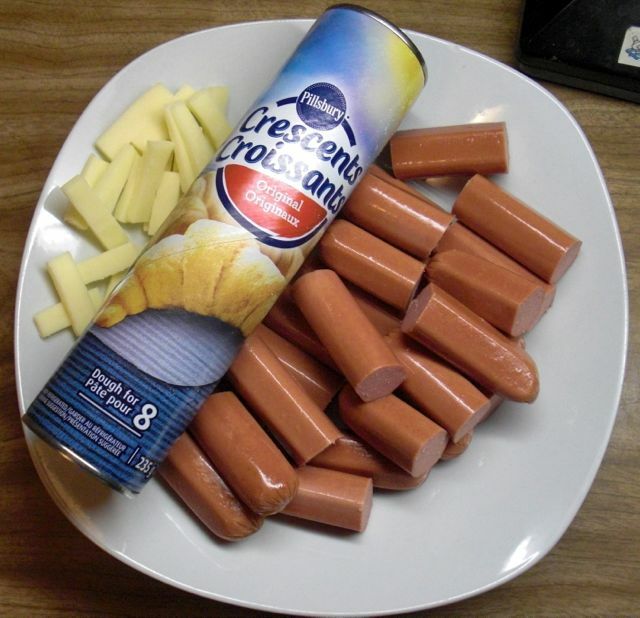 Cut your hot dogs into three equal pieces. 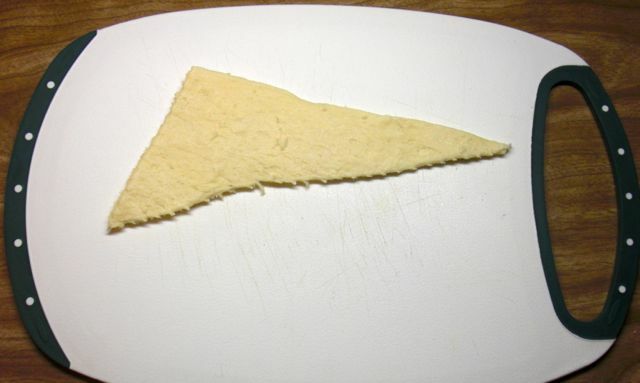 Cut cheese into small slices, about the same size as each third of a hot dog. 2. 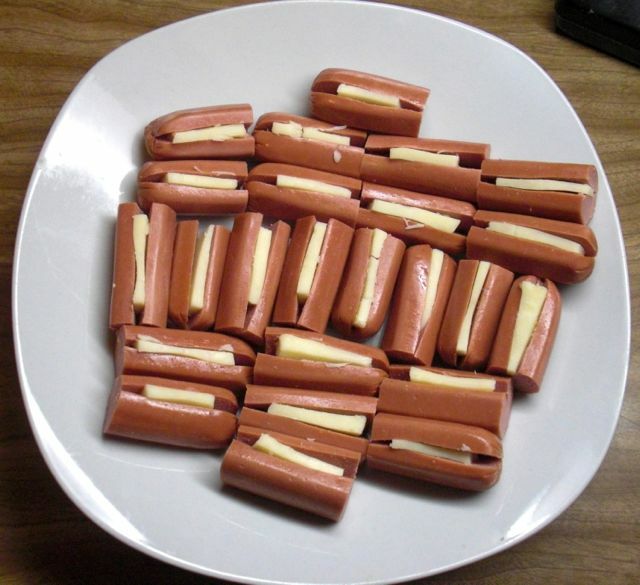 Slice each hot dog piece about half way through and stuff with cheese. 3. 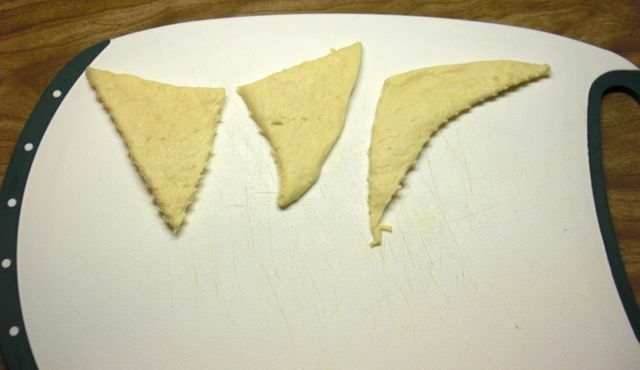 Open your can of Crescent Rolls and separate into triangles. 4. 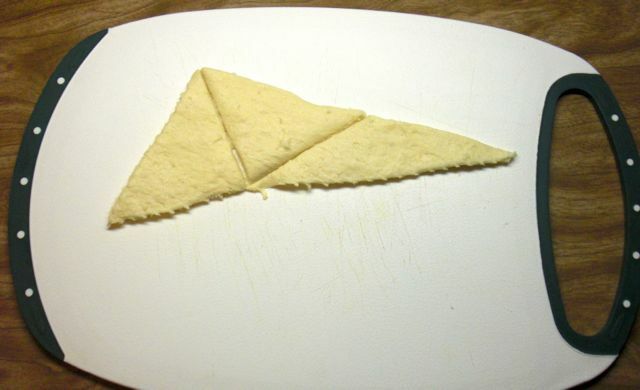 Cut each triangle into three, starting from the top point of the triangle. 5. 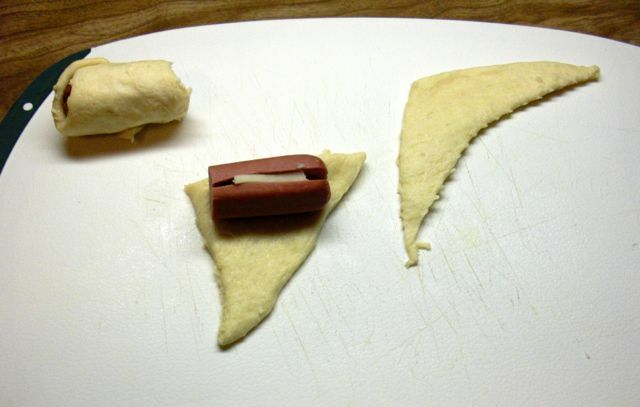 Adjust your mini triangles, so you have a nice sized edge for rolling up hot dogs. 6. Roll up your hot dogs. This recipes is very forgiving, so don't worry how they roll up. 7. Place on a parchment paper lined baking tray and bake at 375°F for 12-15 minutes. I love traditions like this. Enjoy your cheese we are cheese-free this year thanks to my snot filled allergy nose. But, we will have waffles. Heard someone reference that waffle song the other day. So fun. I WISH YOU LIVED CLOSER. I have had those on occasion. Merry Christmas!